[/frame]We haven’t had an opportunity till now to talk to an analytics leader of any retail company in India. Bidyut of Titan Industries provides us this opportunity. In this interview with Analytics India Magazine, Bidyut talks about how analytics is being utilised in Titan as well as his thoughts on analytics as a whole. [dropcap style=”1″ size=”2″]AIM[/dropcap]Analytics India Magazine: Please brief us about how analytics is being utilised in Titan. [dropcap style=”1″ size=”2″]BN[/dropcap]Bidyut Nath: At titan the analytics phase is at its infancy although we were one of the first Indian companies to collect data. Signet, one of the oldest loyalty program, started collecting customer data almost 15 years back; followed by Anuttara – Tanishq Loyalty Program 5 yrs back and then Vista – Eye Plus Loyalty program 3 yrs back. But while we have almost 6.5 million customer database the real insight generation, campaigning, predictive modeling started recently. Our core philosophy is n=1+ or how we can add more value to the customer. It’s a philosophy which says “look at a customer as an individual; understand her & her family better so you can add value to the relationship”. Hence data gathering which typically happens at the store and its usage to create special moments with the customer is an important metric for the sales team. While we do the traditional points / bonusing / cross sell / upsell, predictive modelling what gives us the biggest satisfaction is that 75% mails which we get are Thank You mails. We published a book (internal circulation) called “1promise – 100 stories” which talks about how customers were delighted across the country. AIM: Please brief us about the size of your analytics division and what is hierarchal alignment, both depth and breadth. BN: We have a 4 member team on data analytics & reporting but we work with an analytics partners having an extended team of 4 to 5 people. BN: I think people dealing with data fall in love with the algorithm, ROI, patterns, models and tend to forget the human element of the customer – the creative or the messaging. AIM: What are a few things that organizations should be doing with their analytics efforts that most don’t do today? BN: Organizations which can bring in or involve analytics in every dimension of business will be able to use it for their benefit. In most cases analytics is a more like consultancy within the organization, but there are so many undiscovered facets of data which you can understand only when you start looking at the data. You have to live with the data but you have to also reach out to customer to understand their view point, do pilots – experimentation. This requires an open culture and the freedom to fail and learn. AIM: What are some of the data measurement points that are becoming more important for brands? BN: Somewhere there has to be connect between the brand & analytics. At this point it is lacking but we are discovering patterns between customer satisfaction & customer purchase behavior or brand recall score & purchase behavior.These are nebulous areas at this point but will be critical to integrate analytics into brand psyche. BN: Data Quality and the fact that there is not a centralized repository for data validation is a big need of the hour. 25 -30% of data goes bad in a yr for various reasons – shifting, change in mobile no, change of job etc. People is another area which is a big challenge, managers who can link data to business and take decisions – operate with a data mindset. We can get analysts for whom customer = a data point, or managers who understand business very well, the right mix of the two is difficult to find. BN: Currently there is lot of hype around analytics and everybody wants a pie – whether it is the data consultants, IT companies selling analytics suites, or start ups who feel they have found a new way of using technology. I personally feel its good for the industry, companies who can see through this – have a clear road map on how to integrate data into day to day decision making will reap the benefits. Social network, online data will give a fillip to the entire piece. While BFSI were always the early adaptors. We will see retail giving the big push in coming 5 yrs, especially with 3 to 4 coalition programs being launched in next 5 yrs. Mobile will play a significant role in data consumption and especially for retail if you add the location bit – it’s a genie in the marketing guys hand. Privacy will be debated but not sure how much action will be taken on the same. BN: Yes, smell the data, if it feels like morning dew you are in the right space. 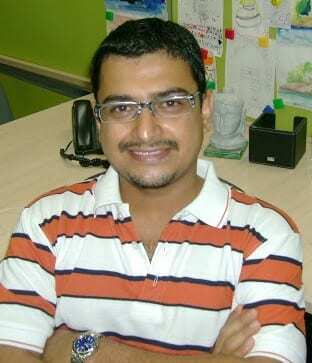 Bidyut has a repertoire of integrated marketing experience in his 17 years of experience. Bidyut is currently heading a project which plans to assimilate around 5 million existing customer databases of Titan customers across verticals like Jewellery, Watches and Eyewear. He is also heading one of of the 7 identified innovation projects – Co-creation at Titan using the existing data as well as other new but prospective Titan customers. As the Customer Experience & Loyalty head of Tanishq, the jewellery division of Titan he launched the Anuttara Loyalty Program in July 2007 which has around 2 million members. He spearheaded the customer experience program “Creating Fans” for Tanishq across all its 130 stores which has won the CMO Asia Award in Singapore.